Just in time for spring & easter, Clif has announced a new Z-bar flavor, Lemon Zing. 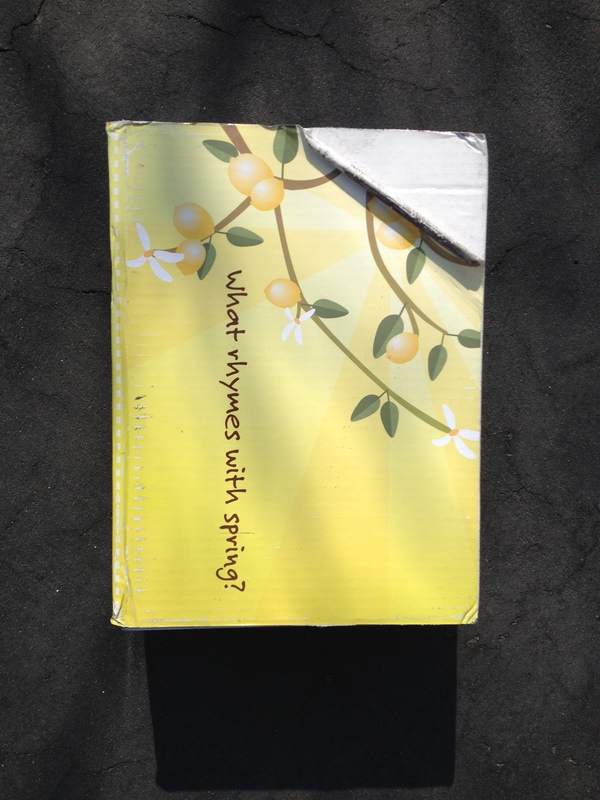 We were thinking spring already & lil K matched the box!! 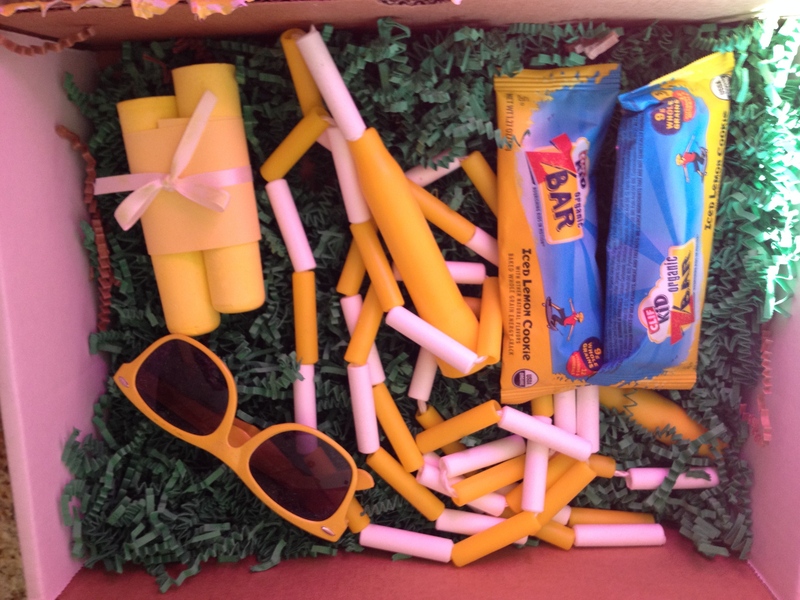 Inside the box was a jumprope, sunglasses, sidewalk chalk and some zbars to test out. She was the only one awake at the time so had the first test. Our family loves Z-bars. Zbar Iced Lemon Cookie has lemon zing and is drizzled with icing. Personally, I have to be in the mood for lemon, but it is a great spring flavor and would be a nice addition to the easter basket! Reminds me of lemon bars that we grew up with!! Is it me or did the bars get smaller? Love them anyway – perfect portion for a snack! How do you feel about a Lemon flavored bar? 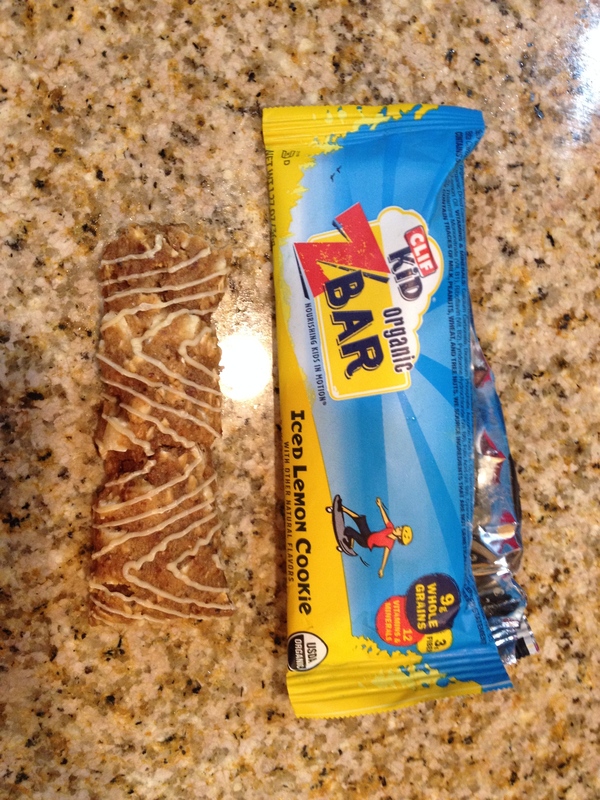 What is your favorite z bar flavor? Winner will be selected at random and announced 4/2! April is around the corner. Yeah!! I should by Z bar stock! 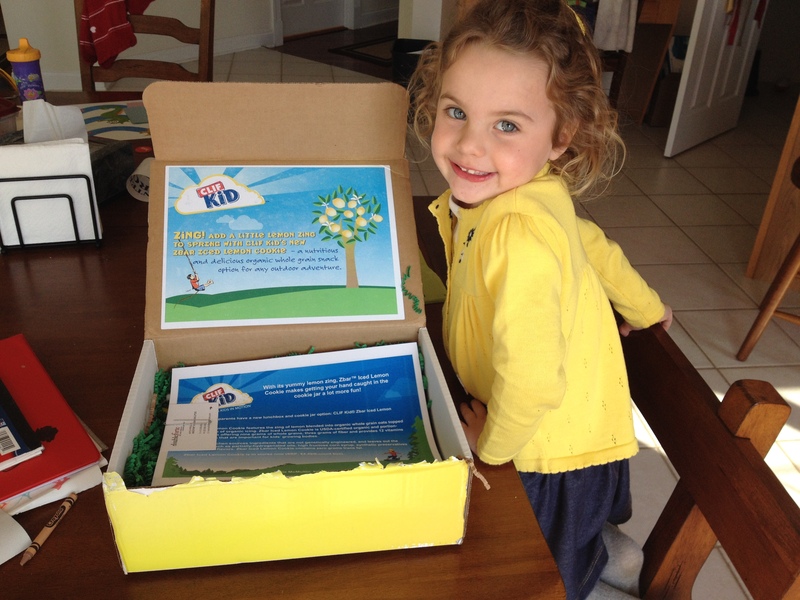 My kids go through several boxes of these per week! We love the chocolate chip and iced oatmeal… lemon sounds interesting?? 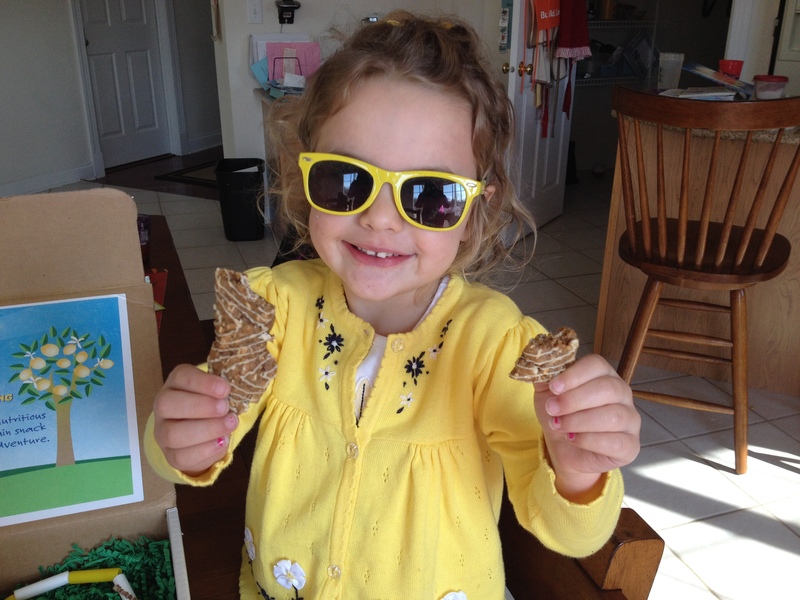 I just bought 3 boxes of the chocolate brownie z bars… the whole family loves them! I’ve been snacking on dried peas lately! I just bought the kids cupcake ones, but might just have to try these too! You’ve gotten us into the ClifZ bars! L loves the chocolate chip ones, lemon sounds awesome, too. my favorite is the iced oatmeal.. this lemon one is next on my list to try! oh man, i love all of them! choco chip and oatmeal raisin are always in my cabinet but i love honey graham too. i also loved the choco mint they had out for halloween and still have a few stashed 🙂 lemon sounds yum! i have noticed that sometimes i get a box of them when they are wider and sometimes more narrow, making it feel that they are diff sizes. but as far as i can tell, that is just random!